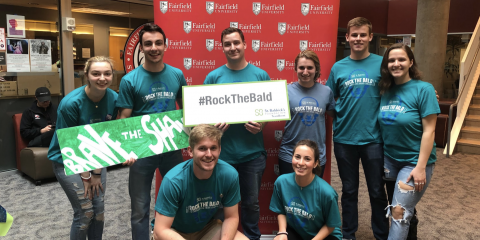 The Fairfield University Women’s Lacrosse team hosted conference foe, Marist Red Foxes, for their final regular season home game at Rafferty Stadium on Saturday, April 14. 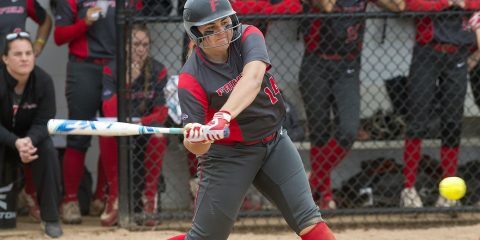 Being the final home game of the season, Fairfield’s seniors, Olivia Russell, Brenna Connolly, Brooke Gallagher, Erin Bauman, Katie Fitzpatrick, Lauren Martinelli, Kelly Holt and Mary Smyth, were honored in a pregame ceremony for their contributions throughout their four years at Fairfield. 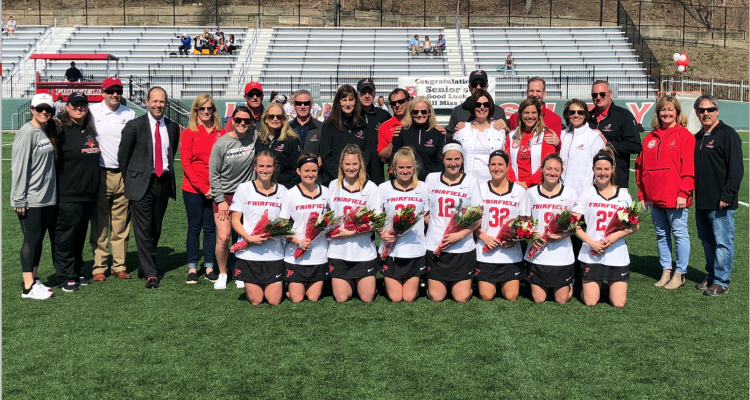 Although it was a day meant to honor Fairfield’s seniors, Marist College spoiled the celebration as they edged the Stags by a final score of 11-10. Fairfield’s seniors had several contributions to the game as Connolly and Gallagher each tallied a hat trick during the defeat. With the loss, the Stags drop to 3-2 in Metro Atlantic Athletic Conference play, giving them a 7-6 overall record. Unfortunately for the Stags, this is their fifth one-goal defeat. With the win, Marist improves their overall record to 8-5, 4-1 in conference play. The first half saw a back and forth battle between the Stags and Red Foxes. Marist struck first, just two minutes into the game, with the game’s first goal only to be answered back by Fairfield two minutes later off the stick of Gallagher for her first goal of the game. After Marist scored another goal, they would take a one goal lead only to be answered back by two goals from the Stags off free position shots by Kathleen Hulseman ‘19 and Connolly, giving the Stags a 3-2 edge. After the Stags would take the quick lead, Marist followed up by tying the game up with a quick goal of their own. With less than eight minutes remaining in the first half, the Stags would score two goals to give them a 5-2 lead heading into the second. The Stags would carry the momentum into the second half as they would register two more goals to extend their lead to 7-5, both goals coming off the stick of Connolly. But, unfortunately for the Stags, Marist would go on a run of their own to tie things up at seven with less than 20 minutes remaining in the game. After tying the game at seven, Marist’s scoring run would continue by adding two more goals, giving the Red Foxes a 9-7 lead with less than 13 minutes remaining in the game. The Stags would battle back to tie the game at nine after goals by Gallagher and Hulseman. Marist would hit the dagger when they scored two more goals to give them a total of 11 goals on the game. 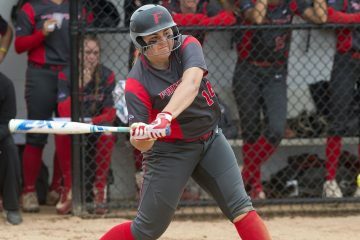 Down by two, Fairfield’s Taylor Mitchell ‘19 connected on goal to cut the deficit down to just one. But down by one and less than three minutes remaining in the game, Marist’s defense was too much for the Stags as they failed to score again, dropping the contest to Marist by a final score of 11-10. In the game for the Stags, Hulseman and Mitchell both finished with two goals each. On Saturday’s contest, Erin Mammele ‘19 snagged her 87th and 88th draw control of the season, surpassing her her own single-season record. The junior currently holds the Fairfield career record with 182 draw controls. Another Stag with a notable performance was Paulina DiFatta ‘21 as she had her best outing of her rookie campaign finishing with 16 saves including 10 in the second half. The Stags will look to bounce back and get back in the win column when they hit the road for a three game road trip to end their season. 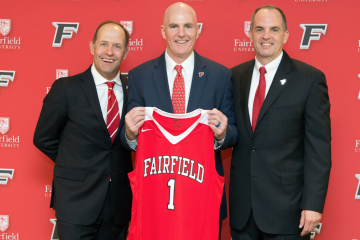 Fairfield is set to take on conference foe Iona College on Wednesday, April 18 followed by contests against Canisius and Manhattan to close out the regular season.